Breakfast was inexpensive and reasonably good. Location is great. The room was of good size but a little worn out and damp. The Ed was big and rather comfy. 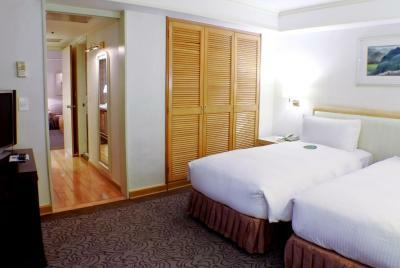 The quadruple room was clean and had 2 large beds that can comfortably sleep 4 . 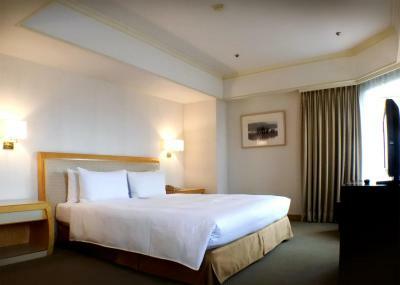 The hotel location is conveniently near MRT stops and also sightseeing spots like Rao He Night Market and 101. Lobby and room wi-fi were easily accessible though a bit slow at times. The water pressure and heat of the water in the bathroom was good. 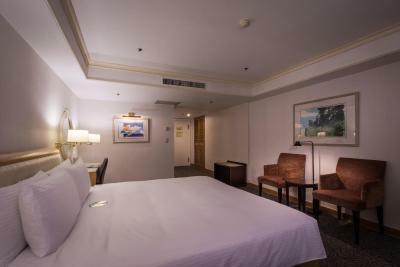 What I like the most is the location between MRT station, free parking back of the building, staff members, and originally free upgrade (side note about that later). 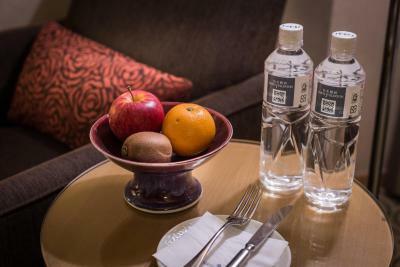 The original room came with fruits also very thoughtful. Many elevators to support the massive guests. 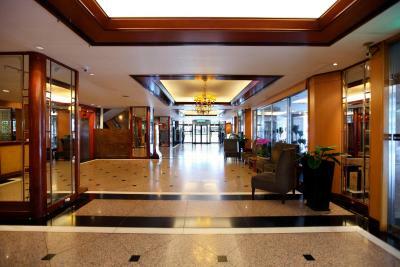 Staff was very friendly and attentive, ans swiftly allowed me to check out when i wasn't happy with my stay. Nice and very clean. Staff are very helpful and polite. They offered me some fresh delicious fruit for free as just as I checked in and entered my room "good hospitality". 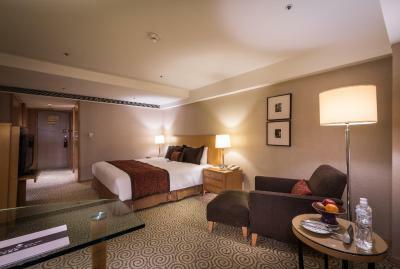 I booked for 4 nights, was pleasantly surprised to be upgraded to a suite and the suite was very nice and comfortable. It was very close to my meeting venues, the MRT was within walking distance, taxi at the doorstep to bring me to the airport, I will stay again when I next visit. 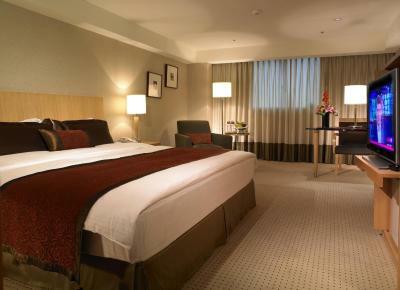 Room size, location & cleanliness in hotel, value for money. 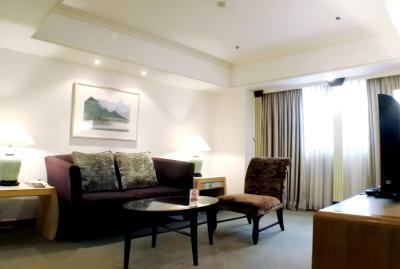 Taipei Fullerton Hotel - East This rating is a reflection of how the property compares to the industry standard when it comes to price, facilities and services available. It's based on a self-evaluation by the property. Use this rating to help choose your stay! 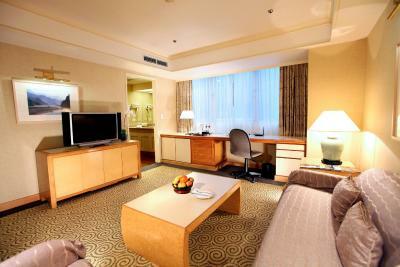 Taipei Fullerton Hotel East offers luxurious accommodations with free WiFi the. 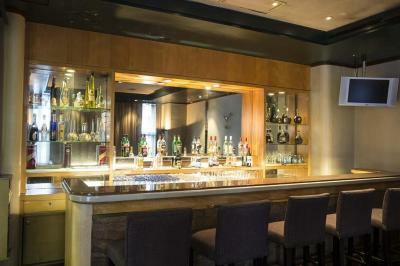 It features free parking, 2 restaurants and a bar. MRT Nanjing East Road Station is a 5-minute walk away. 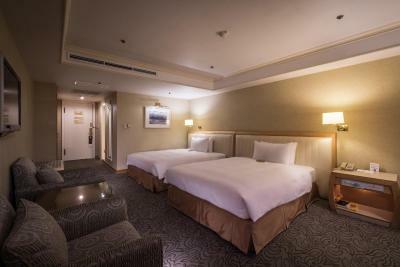 All rooms at Fullerton Taipei East have a TV with satellite channels, mini-bar and fax machine. 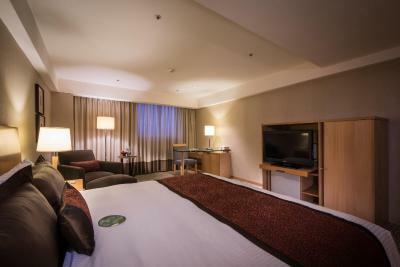 Conference rooms at the the property are equipped with state-of-the-art audio-visual equipment. 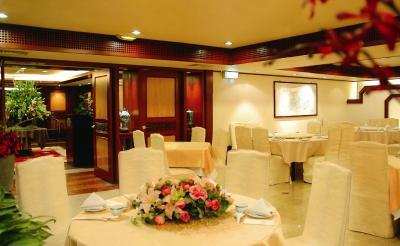 Lotus Garden Restaurant serves Chinese cuisine including Dim Sum. 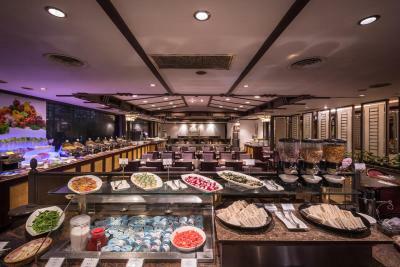 Breakfast and a western buffet are available at the La Chinoiserie Cafe. 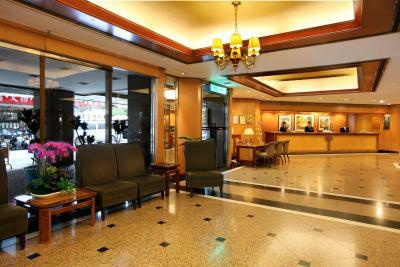 Taipei Fullerton Hotel East is located within the financial and commercial area in Songshan District. 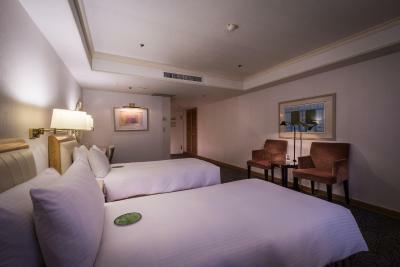 It is a 5-minute drive away from Taipei Songshan Airport and a 45-minute from Taoyuan International Airport. 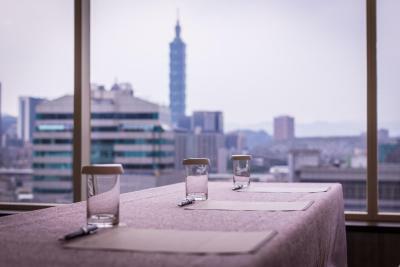 Songshan District is a great choice for travelers interested in gourmet food, food and city trips. 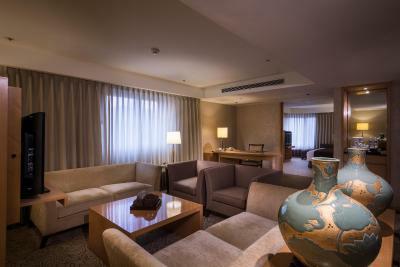 When would you like to stay at Taipei Fullerton Hotel - East? 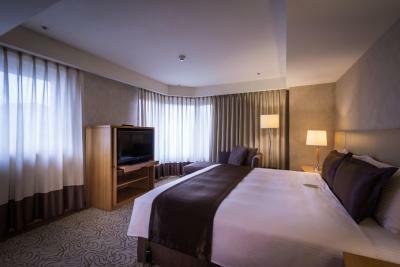 Large air-conditioned room comes equipped with a cable/satellite TV, minibar and personal safe. 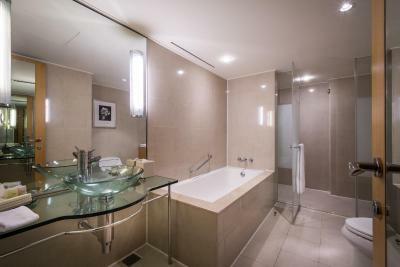 Bathroom has a bathtub and hairdryer. 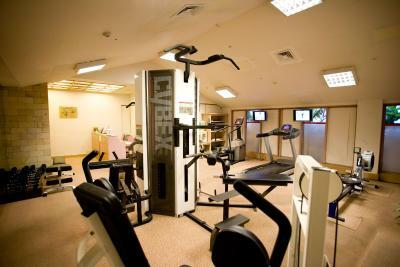 Large air-conditioned room comes with a fax machine, a cable/satellite TV, minibar and personal safe. 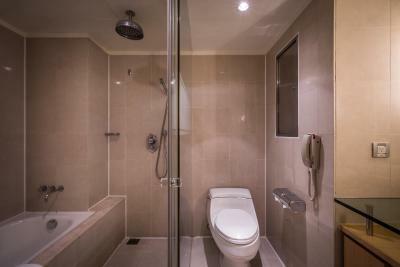 Bathroom has a bathtub and hairdryer. Spacious suite has a separate living room with a fax machine. 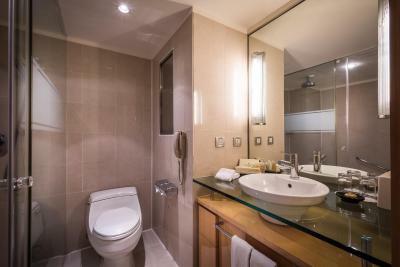 A cable/satellite TV, minibar and personal safe are included. 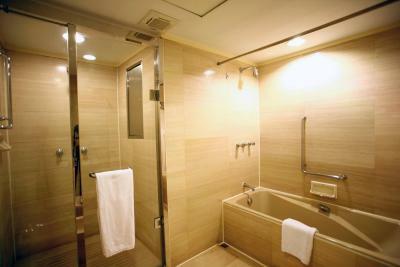 Bathroom has a bathtub and hairdryer. 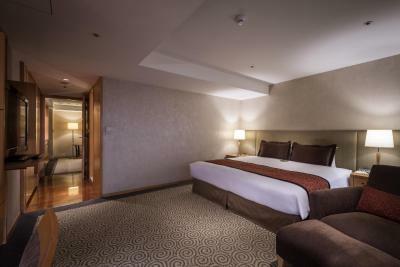 This room has 3 single beds, featuring a cable/satellite TV, mini-bar and personal safe. Bathroom has abathtub and hairdryer. 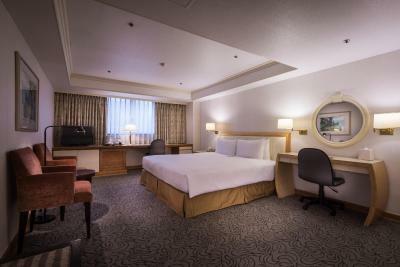 This quadruple room features air conditioning, mini-bar and satellite TV. Extra bed can not be offered in this room type. 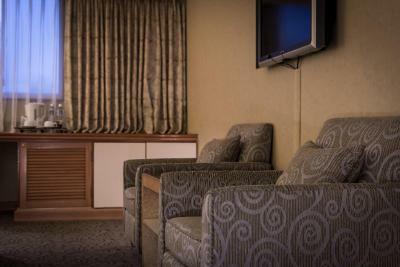 This suite has a sofa, cable TV and air conditioning. 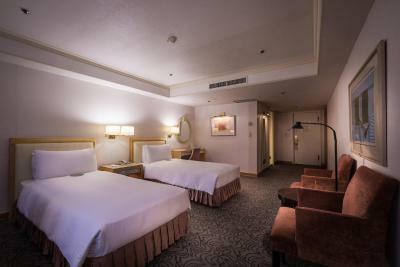 Located in the center of East Taipei’s financial and shopping districts, Taipei Fullerton Hotel East is conveniently adjacent to the World Trade Center complex, Neihu Technology Park, Nankang Software Park, 10 minutes from Taipei Songshan Airport, and 45 minutes from Taiwan Taoyuan International Airport. Hotel surroundings – This neighborhood is a great choice for travelers interested in gourmet food, food and city trips – Check location Great location - show map Guests loved walking around the neighborhood! 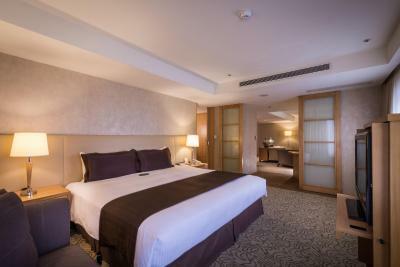 House Rules Taipei Fullerton Hotel - East takes special requests – add in the next step! Any additional older children or adults are charged TWD 800 per night for extra beds. 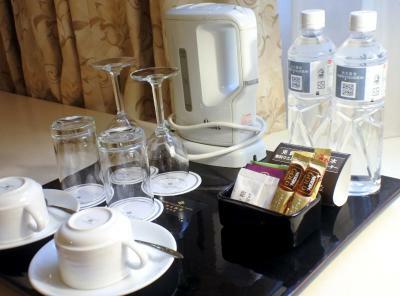 Taipei Fullerton Hotel - East accepts these cards and reserves the right to temporarily hold an amount prior to arrival. Need enough seats or big breakfasts halls. Breakfast was good, but lack of seats, it was crowd and difficult to get seats. Switch polarity a bit confusing depending on whether Master on or off. Staff was adequate, but no one seemed interested in going out of their way to explain anything or offer suggestions. I had pre-arranged for an early check-in (and it had been confirmed), but it was not available upon arrival. No apology, no excuse, no upgrade, no nothing. Could have been a language thing, but between the 3-4 people behind the front desk who discussed it, nobody thought to offer an apology, or upgrade/complimentary something or other. Good location with easy access to public transportation. The bathroom was old due to structure, there was no place to key-in the card so you have to turn off and on the lights manually when you leave the room. Room was big and the beds were comfortable. Check in staff could have been more approachable. Room was really old and dirty. Just take a look at the dust. Carpet needs a good wash. Toilet pipe leaks if water is in use. It is dated and needs a do up to the hotel. 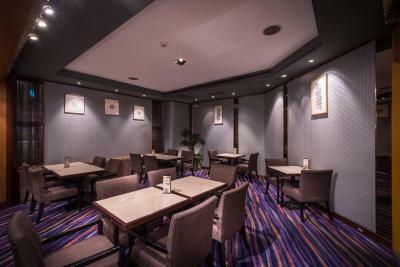 Conviently located in central Taipei. 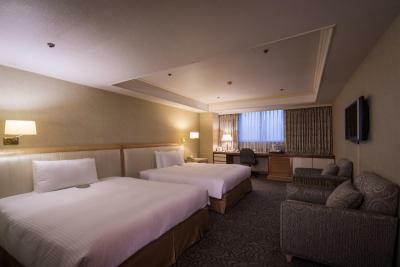 Hotel room is spacious and relatively clean. Staffs are very friendly, I arrived very early and they looked after my luggages while I went for a walk. 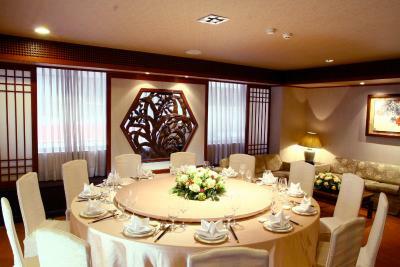 On New Year's Eve, they put on a supper for guest who attended the fireworks viewing from the top of the hotel. 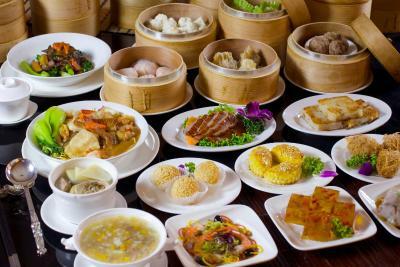 Restaurant is good, we had yum cha lunch and enjoy the cuisine very much. Highly recommended. Customer service was terrible, breakfast food is not worth $13 a day per head (you can definitely get better food elsewhere and/or similar caliber hotels offer better food at the same price), the hotel room and bathroom was super ancient looking with yellowing wallpaper and blow dryer is weird and old looking. The hotel was nothing like what it looks on the photos (this includes the breakfast) and the overall experience with the hotel front desk staff and the room was poor. The breakfast was so bad that we often overheard other customers complain about it as we were eating... overall not recommended unless you don't care about customer service, good breakfast, and rooms with up-to-date decor.